Professional Titles: Chief Resident affiliated in UCLA Family Medicine Program (1989-90); Member, American Academy of Family Physicians. Medical Interests: Geriatrics, women's health, travel medicine, and preventive care. Personal Interests: Cooking, travel, and spending time with his two daughters. 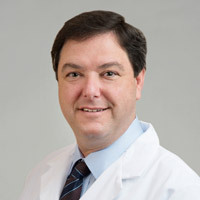 Dr. Katz is a board-certified family medicine physician. He provides preventive and acute healthcare services for family members of all ages. His interests are in Geriatrics, travel health, and women’s medicine.